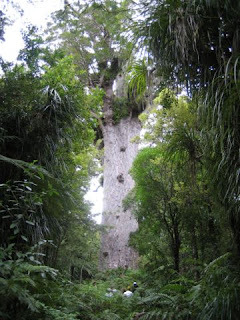 The Largest One is called Tane Mahuta. 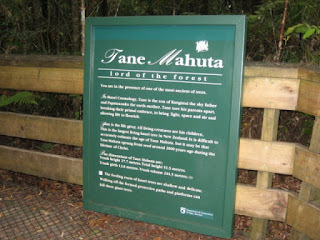 After reading the story, Pat looked up for the first time to see the tree - it took her breath away! So big, it is not possible to get a single photo showing the entire tree.